A kolinsky sable-hair brush is a fine artists' paintbrush made with hair obtained from the tail of a Siberian Weasel, less commonly known as the kolinsky. Due to their exceptional ability to be finely shaped, kolinsky sable brushes are highly suited for use as fine detail brushes. 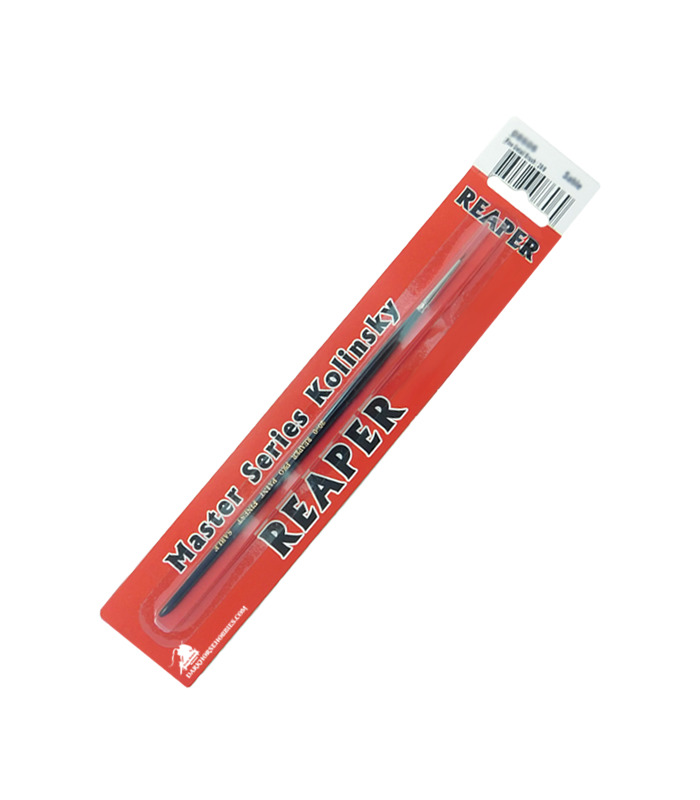 Reaper Master Series is one of the few brushes that are available down to a 40/0, an extremely fine detail brush that is excellent for painting details such as eyes on action figures.